Ever since vehicles became mainstream and accessible to the general public, there have been vehicle accidents. With vehicle accidents have come ways to try to mitigate these calamities, and the incorporation of greater and more effective safety measures. In race car and agricultural machinery design, a roll cage is an important safety feature that protects a vehicle’s occupants from harm. How did the technology get to the point that it’s at today? Here we have a look at the development of this structural safety component. As machinery began being used increasingly for agriculture, there were many instances of tractor deaths, with an estimated 60% of agricultural deaths caused by vehicles rollovers. This was finally acknowledged in Sweden in 1959, when laws were introduced stating that all new tractors must be fitted with roll cages. This law eventually spread worldwide. Although this new law existed in the agriculture realm, it was another story in car racing, where safety features were simply non-existent. While helmets and overalls became mandatory, between these years 22 people died in race car accidents, as it was believed that roll cages would hinder speed, agility and performance. In 1971, roll cages finally became compulsory. This was the year that Land Rover installed external roll cages in their vehicles which were used for the British Army, using a company called Safety Devices. As the years went by, roll cage technology became more innovative and cutting-edge. This meant that cages became lighter, more stream-lined and aerodynamic, which entirely dispelled the myth that the safety benefits of a roll cage had to come at the cost of performance. Roll cage technology became so developed that fuel consumption wasn’t compromised, and 4×4 companies began offering the feature as an add-on. Roll cage technology has come a long way, with some agricultural machinery being fitted with roll cages that deploy mid-roll. A few car manufacturers have experimented with installing inconspicuous roll cages into the structure of cars, which simultaneously improve the safety features of the car but leave the aesthetics unaffected. 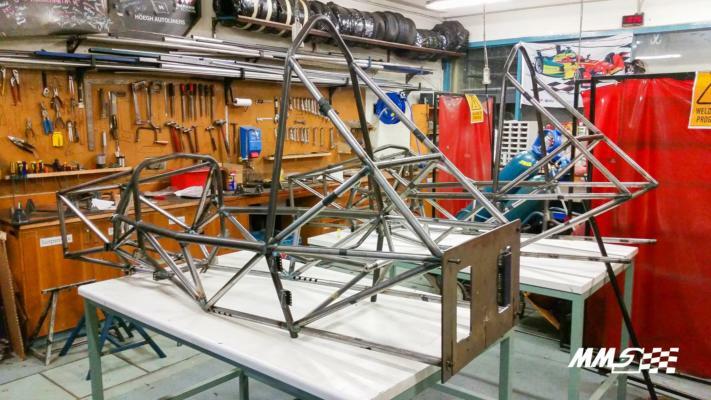 At Bralco Metals (Australia), we provide chrome moly tube roll cages for many vehicles and machinery, including roll cages for Monash Motorsport. The team’s vehicles have benefited greatly from the components, with several race victories in their recent past, and the utmost safety for their drivers. If you need metal to manufacture components for vehicles, aircraft or machinery, we can provide. Get Excited for the WRC Kennards Hire Rally! What is Ecotourism & Why Should You Do It? For almost 50 years, Airport Metals (Australia) has operated as a stocking distributor of aircraft materials and supplies. Based near Tullamarine Airport, in Melbourne Australia, we provide added value to aircraft and other hi-tech customers by carrying a wide range of aircraft metals, composite panels and liners, and associated materials. Get in touch today or send us an enquiry.